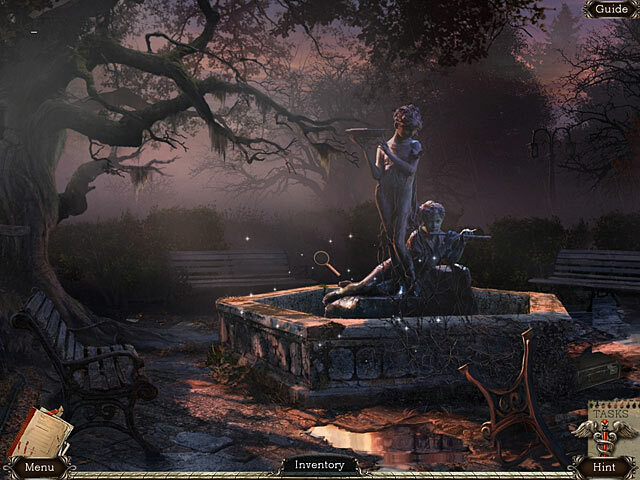 Rated 5 out of 5 by ret65 from Great hidden object game without paranormal and such. I read a lot of the reviews and all were favorable. I tried it and agree with everyone. Great game and it has a guide in the SE. Unbelievable. What a great idea! Still doing the game and enjoying it. I did make the screen lighter before starting the game after reading some reviews. They said it was a little dark and it was but making it lighter really helped. I would recommend this game because it has nice graphics, scary music but no weird things. I just like hidden objects without the weird stuff. This is great. Buy it and you won't be disappointed. Rated 5 out of 5 by lindsey56 from I LOVED IT! I loved this game! Is there going to be a sequel? I HOPE SO!!! Rated 5 out of 5 by Marzy66 from Excellent long creepy game. I am mystified as to why so many low reviews. I thouroughly enjoyed this game from start to finish. I did not have any problems with seeing things, and had no problem identifying items. The storyline was brilliant and some parts were downright creepy, but i loved it. Yes, so what the character animations were a little dodgy but that doesn't matter to me, the story more than makes up for it. I highly recommend this game, it is very long, and has the replayability factor. Rated 5 out of 5 by simonthedog from Kudos on a challenging game! Just want to quickly thank the developers for creating a nicely challenging game. I prefer a higher difficulty level. My only suggestion would be to have a map indicating where actions are possible. Often, that is the only clue I need. As long as I know there is something to be done, I will eventually figure what for myself. The guide was helpful, too, but gave too much information at times. More puzzles would be great, as well! Rated 5 out of 5 by sporoy from good game Some hard tile puzzles by loved it!.. Rated 5 out of 5 by aquarabbit from Wow! Just wow! I love it when I stumble across a game I haven't ever tried ... and it's a great one! A lovely surprise of a game. Other reviewers are correct: This was definitely designed as a CE, although I guess it never became one. It's not perfect, for sure - there are a couple of lapses toward the end - but all in all, it's still worth my 5 stars. It was fun to have an inventory full of items, none of them apparently useful for the tasks at hand. Liked the old-fashioned, yet tricky, HO scenes. And I played on the easy level! Rated 5 out of 5 by Lulu0824 from One of my personal top picks! I absolutely love this one! Very creepy place to be exploring, the graphics are simply amazing! I love a Big Fish Game that can keep me playing for hours! I really liked the video clips when entering certain new rooms. Something about phobias is fascinating in games like this! At this point in time, I haven't even finished the game yet, so I don't know how it ends! I already know I wish that this was a Collector's Edition game, but if it were to ever become one, I would immediately buy it again, only on my laptop (currently on desktop). Definitely worth a try at least! Rated 5 out of 5 by picklesyumyum from LOVE THIS GAME I found this game very good, can't wait for another! Kept me on my seat the whole time. Even the creepy parts were excellent! . At first I thought it was going to be ok, but the more I got into it the better it got ! The graphics were very good. The characters could of used a little work but. overall Excellent!! Rated 5 out of 5 by pennmom36 from Dark And Dreary But I Love It! You are having the same nightmare over and over, you are being chased by someone in and old abandoned asylum, you press the elevator door but it's too late, that same someone pushes you down the now open elevator shaft.....that's when you decide you must go to the Chestnut Lodge Asylum and solve this mystery once and for all. Have you been there? Everything looks familiar, but you just don't remember! I actually bought this game when it was first released, I loved it so much I decided to re-play the game. This game contains so many goodies that you just won't find in today's standard editions such as a built in strategy guide and my personal favorite, morphs, 22 of them to be exact. This game offers excellence in in graphics as well as creepy vibes and music like none other. The HOS are good, some items are difficult to find because it's simply too dark to spot. Mini games are fun but there aren't a bunch and most are simple such as matching up electrical panel pieces, all you have to do is switch around a couple of panels with lines on them until the lines match up. This is a classic game that will stand the test of time, it's been 2 years since I played this game yet it doesn't seem old or outdated, enjoy! Rated 5 out of 5 by HidingAlex from Fun I enjoyed this game. I played in casual mode and it was pretty easy. For players who like a challenge, I would choose the more difficult mode of play. Rated 5 out of 5 by Plientje from another great asylum game! Wonderful, entertaining game. It made me jump out of my chair a couple of times! Immersive, engrossing, creepy storyline, just the way I like it! Good HOS, not too much, very little puzzles, those that were there were very nice. Very beautiful music, there's one pianotune I absolutely adored! Thanks to dev's and BF for bringing us this great game. Try it and have fun! Enjoy! Rated 5 out of 5 by babadgirl from Wonderful game! I played the demo and immediately purchased this game. When I finished I was really happy that I did! From start to finish this game was beautiful and fun to play. The HO scenes were not overly difficult but were just right for me. 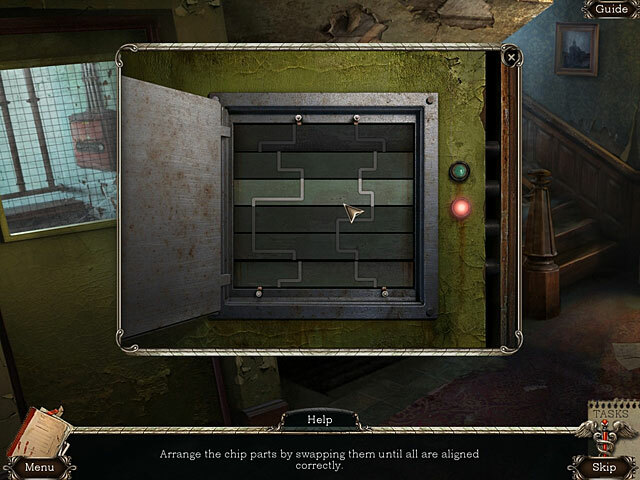 I liked that many of the puzzles used the same object repeatedly rather than having to find multiple pairs of scissors every time you needed to cut something for example. I also enjoyed that they added some features that are usually only in more expensive collectors editions like the built in guide. I initially wanted a map but a quick check of the guide was enough to get me back where I needed to be if necessary. They also added morphing items, also usually only included on collectors editions. All in all I really liked this game and loved the story, graphics and music. Rated 5 out of 5 by spiritlaughing from Very Nice Play I enjoyed the game immensely! Especially because it came with a SG . Actually it surprised me that it was not too dark, but not too cartoony either. Graphics are good. You run around a lot, which I prefer in HOS, There were just enough HOS, unlike some games where there is nothing but HOS. Of course, a lot of people enjoy having a lot of those. It's just not my cup of tea. The story line is pretty good. Most of the puzzles are not easily solved, except one, which I won't name. It is definitely worth buying, IMHO! Rated 5 out of 5 by Heather_G from A lot of game for the money! I went into this game fully expecting a "been there, done that" experience. While some of the story has been done, and certainly the setting, this rendition pulled me into the story a bit more. It was a little creepy, but nothing too gorey. For adventure gamers, this plays very much like an adventure, but there are numerous HOS sprinkled throughout the game. I was surprised to find morphing objects, a guide, and achievements in this standard edition game. What a treat! I played on the difficult setting (there are two) and it took me nearly six-and-a-half hours! A great value, indeed! Now, the morphing objects can be very difficult, because although some switch between two different items, some merely appear and disappear without changing. Also, the guide only shows 15 of the 22 items, and the walkthrough appears to be taken directly from the guide, so no help there. I managed to get 21, but finally found the last one only by hitting the forums. I don't believe I've ever played a game by this developer before (think "loafing tortoise") but I will be looking for more by them. One of this game's strengths, and by the trailer for the next game, "Frozen", it only gets better--is the cinematic feel of the graphics and video. There are moving items in most scenes, like leaves blowing, lights swinging, and the rain outdoors stops and starts again throughout the game. I found a number of posts about technical problems, but I'm happy to report that my old PC, vintage 2004, was able to play the game with only a few choppy cut-scenes--no other problems at all. This is a well-done game with lots of extras and a decent story. I highly recommend it! Rated 5 out of 5 by laczmom from Fabulous game This game is just my type, scary but not filled with ghosts, witches or mystical stuff. 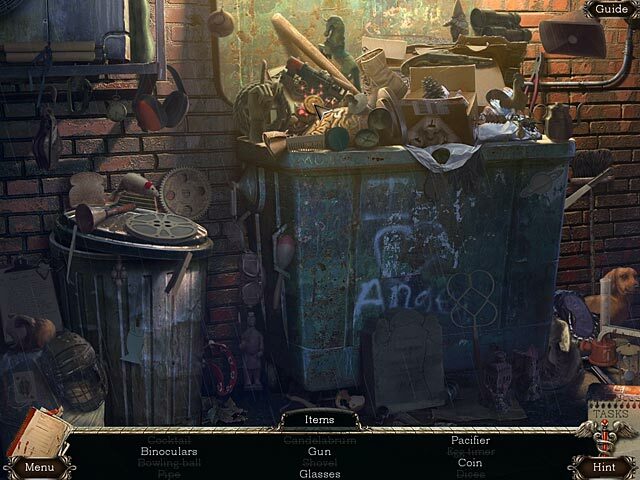 There's not a lot of hidden objects. It reminds me of Return to Ravenhurst and Scratches-Director's Cut. Loved every minute of it. Rated 5 out of 5 by MamaTraci from Challenging but fun Enjoyed the game the only problem I had was there was not a map to show areas that needed to be reexplored. Spent alot of time wandering around had to use the user guide a couple of times when I got stuck. But it over all it was a very good game with a very interesting storyline. Rated 5 out of 5 by JustTheFacts from All The CE Bells & Whistles... GAME COMPLETED SEVERAL TIMES This game clearly was designed to be a CE, all that is missing is the bonus game play. As well as a well crafted game, it has the following extras: • Integrated SG • Collectibles • Achievements • Wallpapers • Sneak Peek (video from their next game Frozen – looks good) The game is good value in its own right. The graphics are good, not spectacular, but the cut scenes are sensational and make up for it. The atmosphere is oppressive, ugly and sometimes downright scary. The story is nothing new, and is not emphasized with lots of scattered info along the way. You spend most of the time simply getting around the grounds and buildings trying to find out what happened. But it is well paced, and finishes with a bang. I found myself having to get help on what to do next from the SG a bit too often. Still, I was playing late at night and it might have been just me. What this game didn’t have and needed desperately was an interactive map. The game area was huge. There were dozens of locations, often used only for a couple of items spread apart of course, and they were all over that none existent map. It required my full concentration to just get around, never mind remembering where particular puzzles were. Now that we’ve mentioned them, there were very few puzzles and they were easy. This was a HO game, wrapped into a good adventure. Overall, this game is worthy of a solid four stars from me – its extras have earned it a fifth. Rated 5 out of 5 by DUNKIN1950 from ENGROSSING and sometimes GROSS Excellent, realistic graphics although sometimes DARK. (both literally and figuratively) Particularly the SECOND FLOOR. Be afraid. Be very afraid..... It seems a little busy at times and a lot to remember but stick with it. Take notes and jot down what items you need in what room. The set up of the asylum and outer buildings are logical and easy to remember so you don't really need a map - although I would have appreciated a short cut now and then. TAKE NOTE: - The items in the HOS are a little off sometimes - the item SKATE was really a skateboard and the item PLIERS was really a metal cutter. If you find yourself at a loss of where to go and what to do - simple hit the "HINT" button in every location until it shows you something. DO NOT GO TO THE STRATEGY GUIDE. Stick with it and you will not be disappointing. Rated 5 out of 5 by Peekie120 from "Chestnut" Roasting On A Open Fire ....... Just finished playing this game. Had a lot of fun and had to wrap my brain cells around a couple of parts of it. Great combination of HO and morphing objects. I had to refer to the clue guide a couple of times (I have yet to get through any of my games without at least one peek - notice my online handle name - tee hee). Story line was good but not creepy. Vivid graphics with great outside and inside scenes to wander around in. Loved the puzzles. Another great buy from BF and I got it on sale - woo hoo. 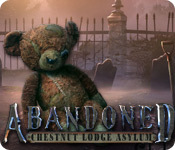 Rated 5 out of 5 by MAG57 from Abandoned Chestnut Lodge Asylum This game was very difficult when I first started playing it. I got stuck twice in the same spot. So, I asked B.F. for help. I uninstalled/reinstalled and tried it one last time. Somehow I ended up with a strategy guide. I think that made the difference for me. I made it through the whole game. It holds your interest, if a game can keep me awake at night, it it is a good game. (Not boring) It was super spooky, I like that! A good storyline. Rated 5 out of 5 by j9_brenna from DELICIOUSLY CREEPY! The asylum is from your nightmares. Well, no kidding, and when can I wake up? I love a game that makes me jump & sends a cold chill down the back of my neck. I also like rain with a creepy game, really adds to the atmosophere. You get to explore your nightmare while interacting with a couple of people. VO's were good, HOS were nice, a little dark & some objects hard to find, and, bonus, morphing objects. I did not realize until the very end that I could change the brightness, which would have made the HOS easier to see. No map, some back and forth but HOS were not always visiting the same scene over & over again, a definite plus. When you finally fix the elevator & get to the second floor & patient's rooms, prepare for your heart rate to jump. The second room contained my nightmare & made my skin crawl. I loved it! Minigames were good & a couple were hard but the built in strategy guide was a nice little bonus. I can't wait for their next game, "Frozen". Rated 5 out of 5 by speakoutloud from Thought I'd Give A Review Loved this game...thought the graphics were awesome...and the game itself really drew me in. The story was good until the end...and then it could have been better....but a very unique adventure game...and I would recommend to all avid adventure game players!!!! Rated 5 out of 5 by OldLady12 from Awesome game with a high creepy factor This game was fantastic from beginning to end. One of the few games that we played from the start to finish in one sitting. You get caught up in the story right away and it is a truly creepy one. There are achievements to acquire, objects to find and more that you usually have in a collector edition. There is a lot of back & forth, but we don't mind that in a game and you had to think about where you were going to use the object you just found. Some of the graphics were a bit --pixilated-- in some scenes, but that didn't take anything away from the fun or creepy factor in the game. All in all, this game was great fun. Rated 5 out of 5 by BeeeWhite from First time review! This game compelled me to make my first time review. The storyline was fantastic, it had me hooked right from the opening scene and couldn't put the game down until I'd completed it. A must have game! Rated 5 out of 5 by Spunkydragon25 from Worth the money!! This game was exciting from the beginning. It had a lot of areas to explore and re-explore which made the game seem to last longer and be a fun challenge.